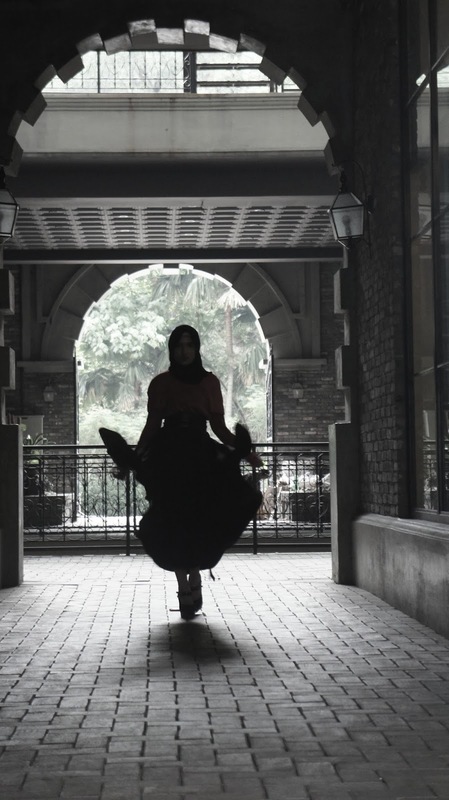 STYLEBOOK BY SYAHIRA ZAKARIA: Maleficent Vs. Sleeping Beauty: Featured on Zalora Marketplace. Maleficent Vs. Sleeping Beauty: Featured on Zalora Marketplace. Maleficent is the Mistress of All Evil, a villain, in Disney's Sleeping Beauty. And the movie, whereby Angelina Jolie portrays her is now out in cinemas! Have you seen it? I really want to go, but I'm in the middle of my finals. No spoilers please! I'll be heading towards the cinema first thing after my paper. In feeling the excitement, I decided to do a look shoot where I have similar looks but changed up the accessories and mood to portray both the evil villain and the sweetie-pie princess Aurora. Princess Aurora is blonde. So I wore a light yellow scarf. The gold belt is tied at the back, reminding me of the concept of corsets as it is to enhance one's figure. Then, there's the big princess skirt. The skirt is called a Belle skirt. As in Disney's Beauty and The Beast. It's designed to be voluminous and fluffy, fit for a princess, like Aurora. Maleficent wears an all black attire when she comes to give her 'gift' to Aurora in the movie, except for her very bold red lips. I love how bold it looks. Black and red. The volume of the skirt helps in giving the evil witch flare. I'm wearing the exact same thing in both looks. Just the colour of the belt and shawl was changed. And eyeliner. You can't have the evil look without the eyeliner! You can also shop for the top at Zalora Marketplace where you can find a photo of me featured in this very top! Before I forget, here's a lovely surprise! Get 15% off when you shop at Zalora.